Out of stock since Thursday, 9 October 2014. Due back soon. 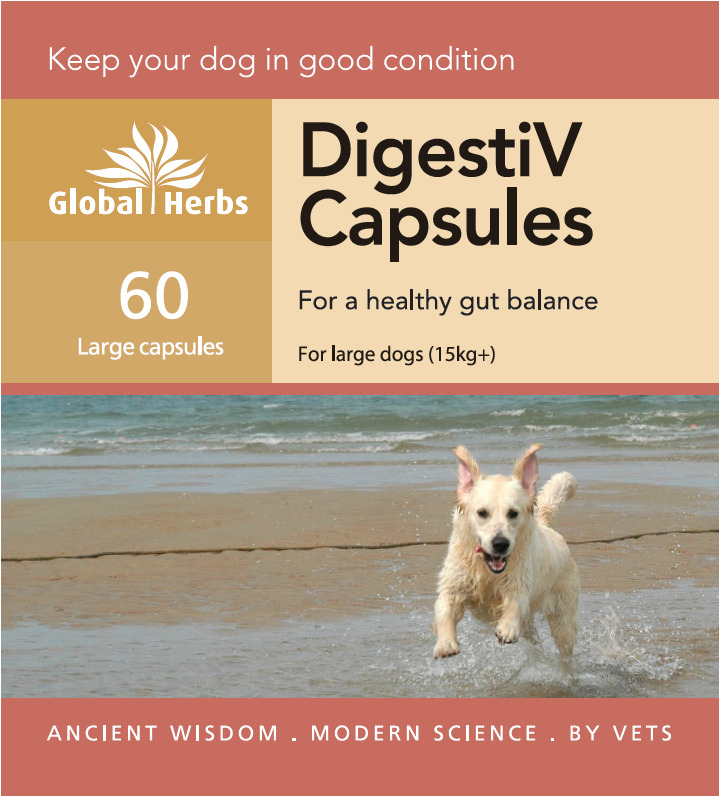 Global Herbs DigestiV Capsules are a collection of herbs which promote health in your dog's digestive system. They can be used to help maintain a conditioned gut and are also useful for support after a period of stress. Below are some recent questions we've received regarding Global Herbs DigestiV Capsules for Dogs, including answers from our team. Can you please give a full list of the ingredients as my dog has digestive issues but also suffers from many allergies to things....thank you! The ingredients in this supplement are Guduchi Vine, Winter Cherry and Common Basil.